What the repercussions can be, if we elect radical progressive Democrats! Recently Dr. Grazie Pozo Christie, a policy advisor for the Catholic Association, wrote about New York Governor Andrew Cuomo’s 2019 budget “Realizing the Promise of Progressive Government.” Dr. Christie is troubled and takes great exception to the Governor's radical policy initiatives on abortion as stated in the budget. 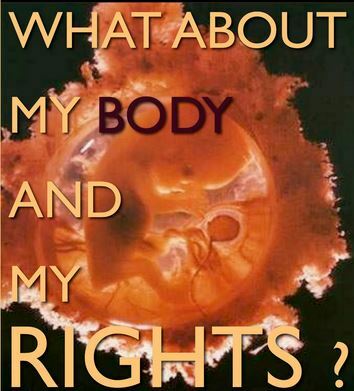 In New York City over one in three babies (are) aborted, a ratio of 505 abortions for every 1000 live births. For African-Americans the figure is even more troubling: 1038 abortions compared to 1000 live births. More African-American babies are being aborted than there are live births. Nationwide for all races, as of today, the number of abortions for 2018 total approximately 250,000, and worldwide 9,479,030 babies have been aborted. Governor Cuomo’s liberal abortion laws provide public funding, taxpayer dollars, and do not require parental notification or consent for minor girls. Not satisfied, in the new budget Cuomo promises to advance women's "equality" by confronting and possibly repealing the modest safety regulations that are currently part of state law; this includes the requirement that abortion procedures be conducted by a licensed physician, and second-trimester abortions be performed in a hospital. The bill also includes the elimination of a penal law that makes it a homicide to intentionally cause the death of an unborn child that is over 24 week’s gestation. Current New York law provides protection for a pregnant woman who is the victim of abuse. If the woman is attacked, while in her third trimester, resulting in the death of the unborn baby, who at that point is considered a “person,” it is a felony criminal charge. The governor’s bill will amend that statute with “‘Person’ when referring to the victim of a homicide, means a human being who has been born and is alive. In other words, if an unborn baby, capable of life outside the womb, dies from a violent attack on its mother, there will be no one held accountable for the baby’s death. The bill also eliminates current state legal protection for a baby that survives the procedure and is born. If Cuomo’s bill is enacted, a physician trained in fetal resuscitation will no longer be required to assist the untrained abortionist in these complex late-term procedures. The governor’s bill explicitly repeals this compassionate life-saving measure, and according to current state law, this is considered infanticide. This recalls the abominable practices of Dr. Hermit Gosnell, now serving multiple life sentences for murder, who when confronted with a baby who survived an abortion, would break the innocent baby’s neck, or employ some other deadly heinous procedure to end its life. Now, friends, you may think that my intent in writing this article was to keep you abreast of the goings-on in the state of New York, and its recently introduced budget for the year 2019 and its extreme abortion policy. But it is more than just that, and I ask for your indulgence while I pontificate on a matter that is of extreme importance, and one I hope all voters will seriously consider. This budget is an example of what a radical leftist Democrat is capable of. Governor Cuomo, in his “Ever Upward Promise to Women” designated in the budget bill, appears so extreme that one would think he is pandering more to the hard left base of his party, than to the needs of women. This is the kind of callous disregard, radicalism, and rejection of the sanctity and dignity of human life that comes out of the mind of a heartless, corrupt demagogue of a government official. We should all keep this in mind whenever we vote. Realize that, with very, very few exceptions, what a vote for a member of the Democrat party today will mean; he or she, as we have seen, seeks only one thing, and that is their pursuit of power and advancing their agenda, even at the expense of innocent human life. In the recent special Pennsylvania election, the winner Democrat Conor Lamb ran as a moderate pro-life candidate. If you believe for a minute that when push comes to shove, and Lamb enters Congress, that he will not toe the party line when pressure is exerted on him by the extremists in his party to vote on bills that in effect support abortion policy, you're much too naïve. Lamb’s adversary was Republican Rick Saccone, who stated during the campaign that “Democrats hate Trump, and hate God.” I believe the governor of New York has proven this to an extent. But let’s give Democrats the benefit of the doubt, partially; they do in fact hate Trump - that has become quite apparent, but let’s just say they may not hate God, but they don’t respect Him. This is no longer the party of your parents and grandparents. There was a time when the Democrat party was inclusive and governed with moderation and believed in traditional values that conservatives of today would support and agree with, and most were pro-life. But in postmodern America over the last 60 years, like liberalism - a once noble political theory - the Democrat party has gone through a metamorphosis and devolved into a social and cultural wasteland that aspires to an open society, free from constraint and oblivious to absolute truths. It has become morally corrupt and I believe poses a danger to the American people, especially the most innocent among us, the unborn.